One of the first things I learned when I when I decided to become a couponer is, if you ask the worst that can be said is no. Companies want you to try their even if that means giving it free or at an extreme discount. 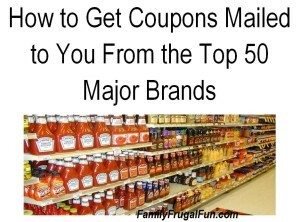 Below is a list of 50 Companies That Will Send You Money Saving Coupons. Check out this awesome list and comment with others if you know of any. Coupons can shave thousands off of your grocery bill every year but not everyone wants to get the local newspaper every Sunday and snip and clip. Well I’ve compiled a list of the top 50 companies that will mail coupons to you. Some have an email sign up for a newsletter and coupons will come to you via their newsletter and some will mail coupons to you via the US mail system upon request. Keep saving – it’s something you’ll never regret and will free up funds so you can do this important things in life with your family. Looking for a great recipe for tonight’s dinner? Check these out! Minkey Couture Review And Giveaway! 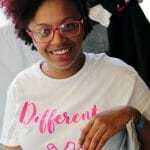 I’m a single mom on disability w) daughter in college, our income is limited.! Trying to start using coupons, but getting them mailed to me is difficult. I’ve done survey after survey, getting nowhere!! Any ideas for me would be greatly appreciated.